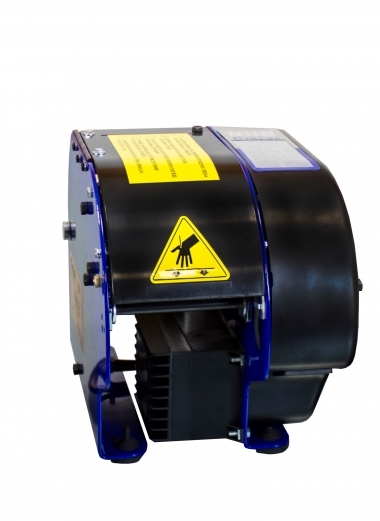 The Lapomagic paper tape dispenser is an electrically powered dispenser for gummed paper tape. 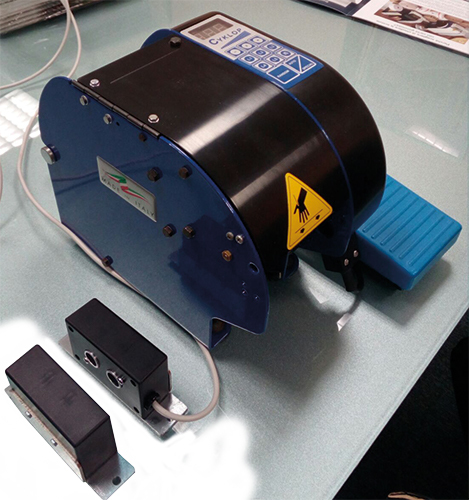 The tape dispenser detects the packaging dimensions and automatically outputs the correct length of tape, for faster processing and less wastage due to accurate length calculation. 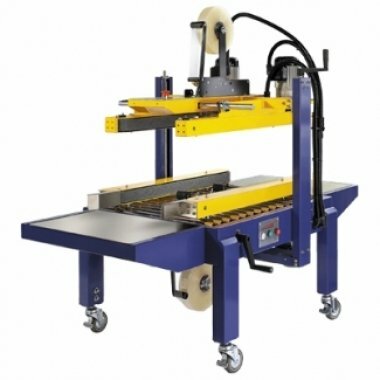 Extremely suitable for sealing large volumes with varying dimensions. 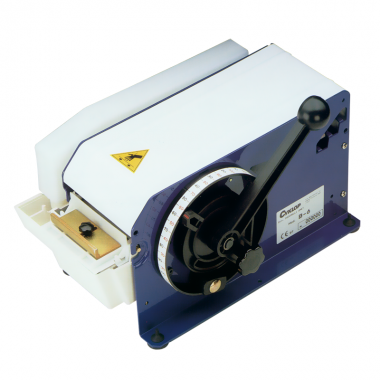 The B6 paper tape dispenser is a user-friendly and economical dispenser for gummed paper tape. 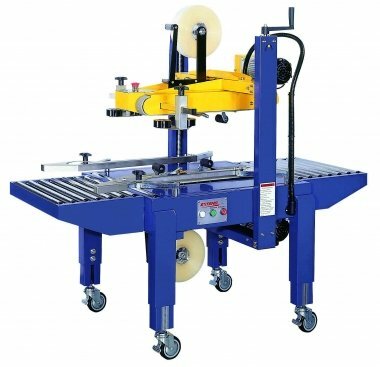 Suitable for sealing small daily quantities of packaging. Simple to move and no electricity required. 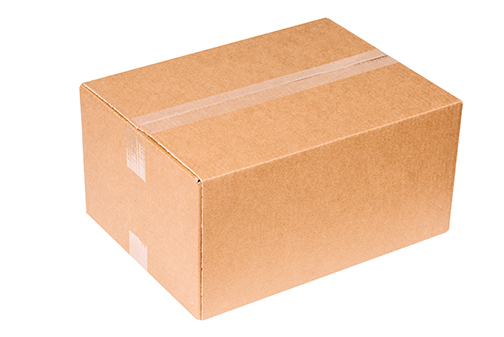 It makes no difference whether you are sealing equal-sized packages or ones that continually vary in size. The tape length is easily adjustable with the handle. Cutting mechanism with hand grip. 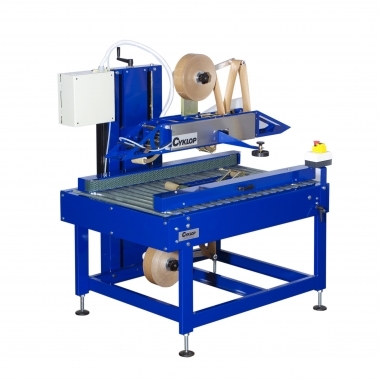 The automatic case sealer CT 103 SDT is a carton sealing machine with top and side drive, suitable for PP or PVC tape. 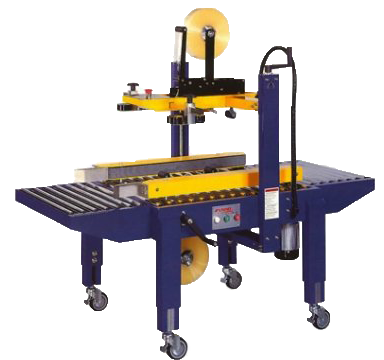 The machine can be easily set up manually for the necessary height and width. 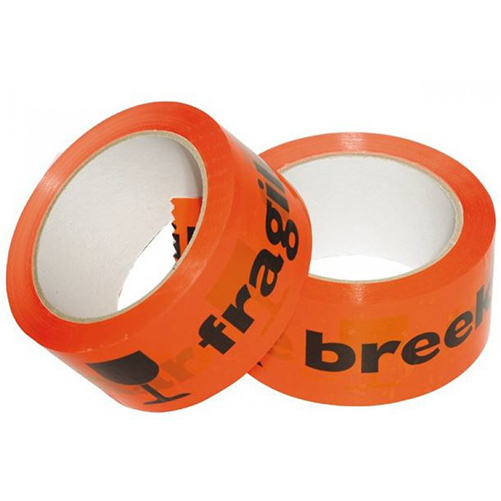 The white warning tape is highly suitable for sticking on fragile products or products that need careful transporting. 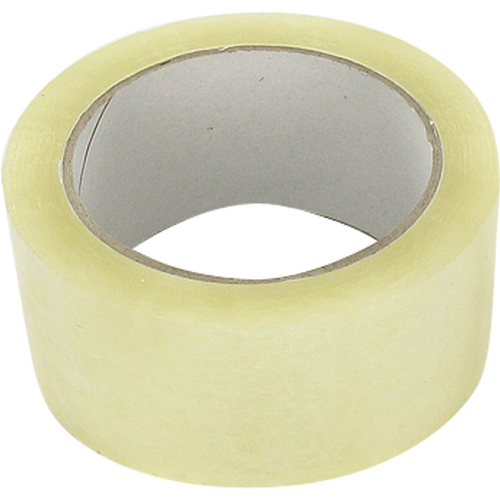 This tape has high adhesion and a very high tensile strength. Extra-long life, for long-term storage for example. 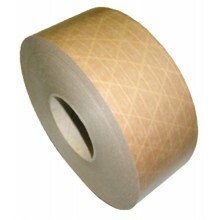 Paper tape double reinforced is the environmentally friendly solution for sealing heavy packaging. 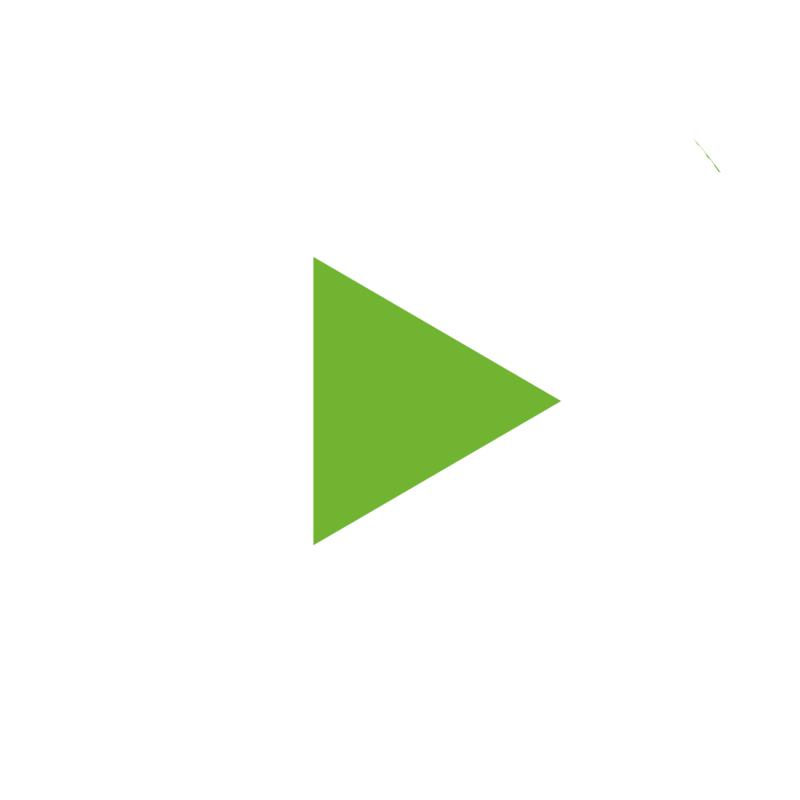 After use, the packing box can be fully recycled, tape included. Thanks to its immediate and strong adhesive quality, paper adhesive tape is suitable for sealing heavy and/or valuable packages. Standard paper adhesive tape is the environmentally friendly solution for sealing light- to medium-weight packaging. After use, the packing box can be fully recycled, tape included. Thanks to its immediate and strong adhesive quality, paper adhesive tape is suitable for sealing heavy and/or valuable packages. Standard paper adhesive tape is the environmentally friendly solution for sealing light packaging. After use, the packing box can be fully recycled, tape included. Thanks to its immediate and strong adhesive quality, paper adhesive tape is suitable for sealing heavy and/or valuable packages. Standard paper adhesive tape is the environmentally friendly solution for sealing light packaging. After use, the packing box can be fully recycled, tape included. 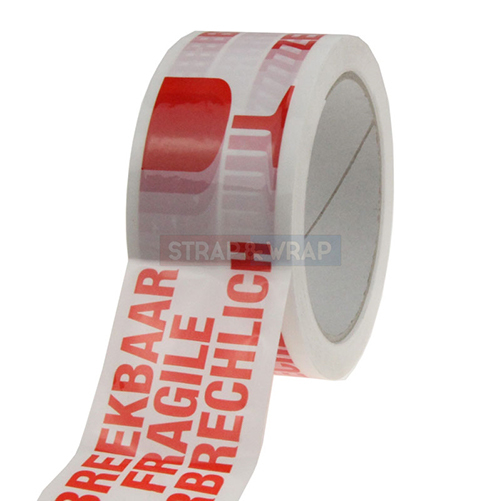 This white warning tape is highly suitable for sticking on fragile products or products that need careful transporting. 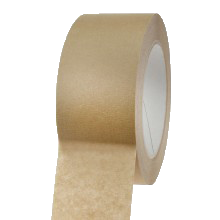 This tape has high adhesion and a very high tensile strength. 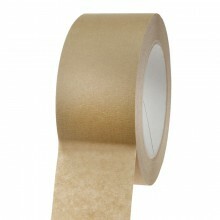 Transparent PVC tape has great adhesion on cardboard, paper, etc. In addition, it has a strong and uniform roll-off. 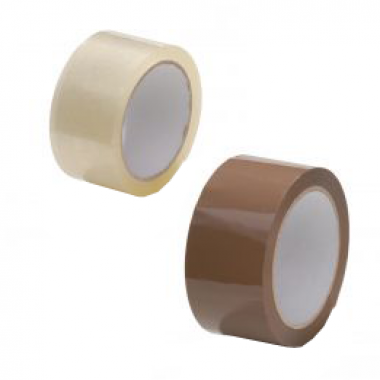 Because PVC tape is not longitudinally stretchable, it is an extremely suitable material for sealing boxes securely. 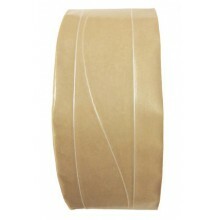 PVC tape is moisture-resistant and can be torn by hand. 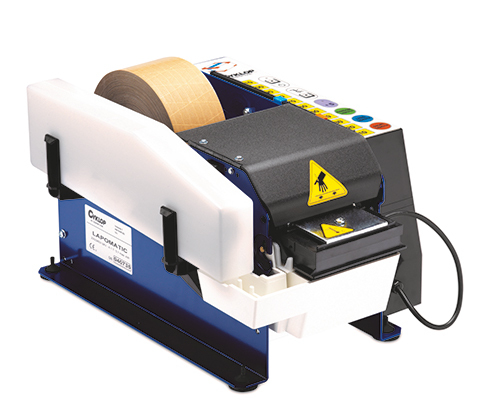 The Cyklop case sealer CT 128 SDF is a fully automatic carton sealing machine suitable for PP and PVC tape. 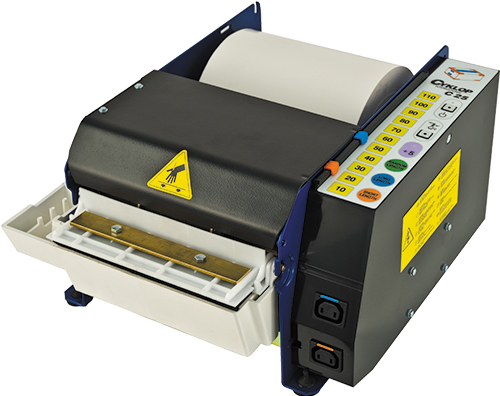 The CT-128 SDF is fitted with an automatic flap sealer that seals the top flaps automatically. 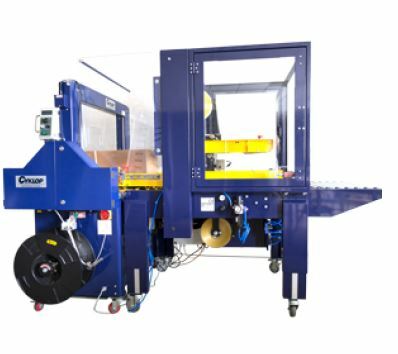 Depending on the box dimensions, a throughput of 11 to 20 boxes per minute can be achieved. 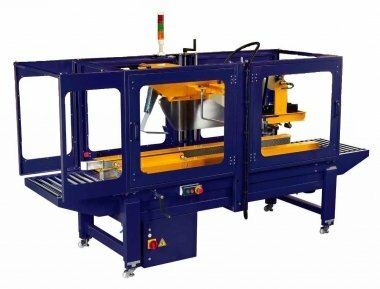 The machine is suitable for integration into an automatic packing line. 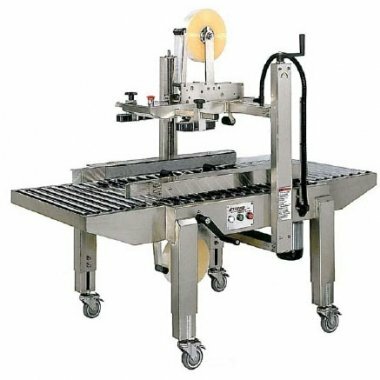 The Case Sealer Zumet Matic X is suitable for fully automatic sealing of large quantities of boxes of differing dimensions with paper adhesive tape. 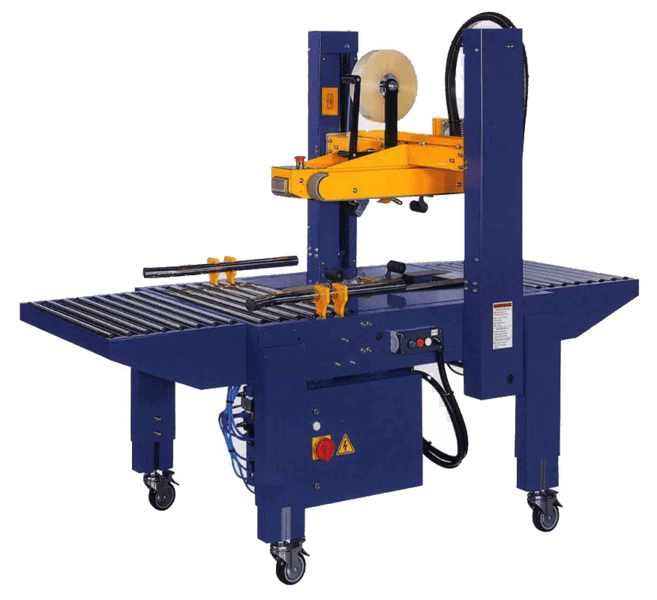 The ZUMET Matic X is equipped with anautomatic flap sealer that seals both the top and bottom flaps firmly and automatically. 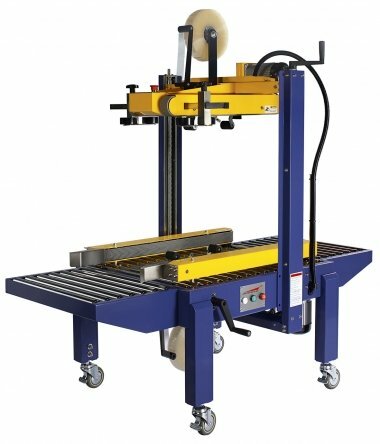 Machine settings are easily adjustable by the operator. 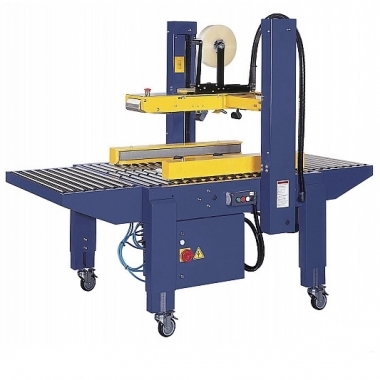 The automatic case sealer CT 103 SDH is a case sealer, for narrow, high boxes, which uses PP or PVC tape. 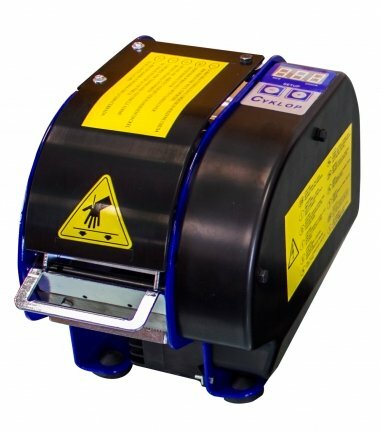 This paper tape dispenser is an electrically powered dispenser for gummed paper tape fitted with the CM 100 coding unit. 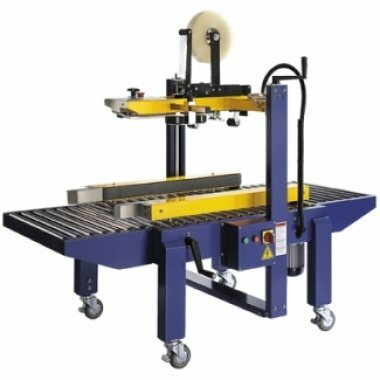 Suitable for sealing and simultaneously coding large quantities of packaging. 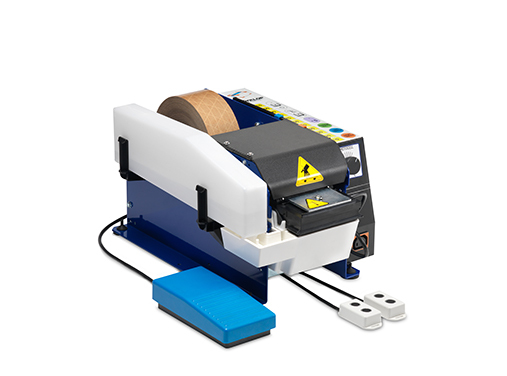 Print the date, your logo or website on the adhesive tape for optimal recognition. 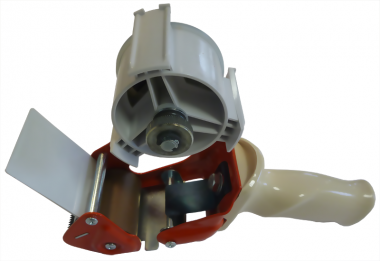 The Lapomatic paper tape dispenser is an electric tape dispenser for gummed paper tape. 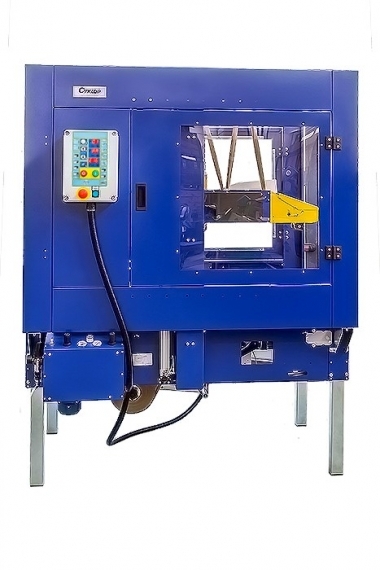 Suitable for sealing large quantities of packaging. 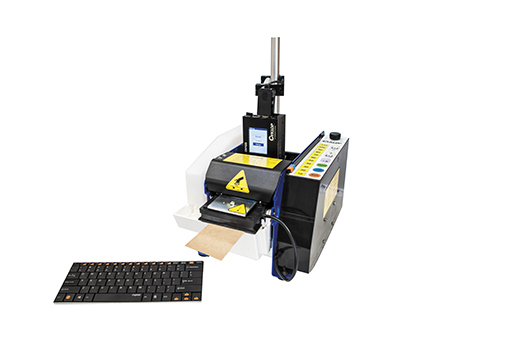 The Lapomatic is reliable, quiet, user-friendly and robust. All components susceptible to corrosion are polished or galvanised to ensure a long working life. 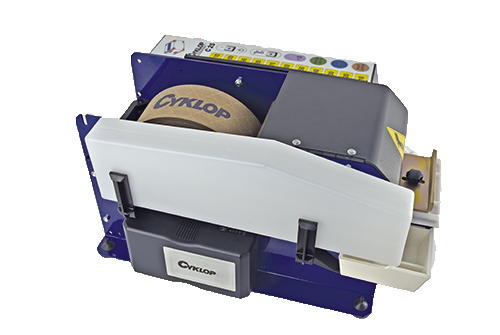 The Cyklop PRI hand tape dispenser is light weight and robust in its design and easy to use, ensuring a clean application every time.